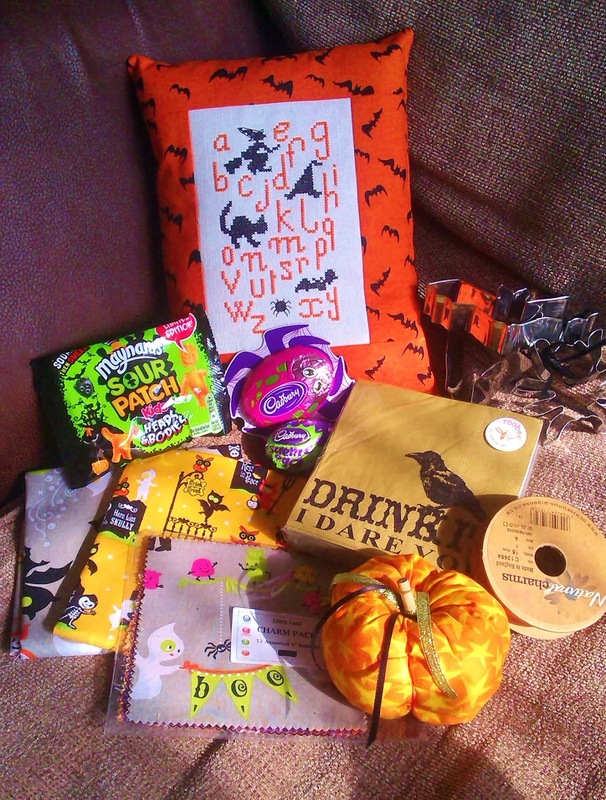 I joined in the Halloween swap at Blueberry Heart and these are the wonderful gifts that Sharon sent me I was so spoilt. What a fantastic selection. I wonder how she knew what I liked? American Candy Corn and Creme Pumpkins. It's nice to taste sweets we can't get in the UK. 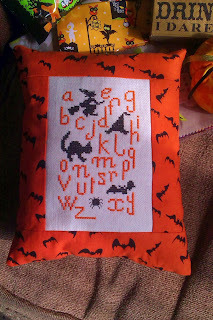 I am going to have to make another one of these as I love it. My Cauldron filled with sweet goodies! Love my bottles an easy make and really effective. Bartholomew the Skellywag with his Pumpkins welcoming Trick and Treaters. We have had some fab costumes this year. I love your decorations, especially the Skellywag. 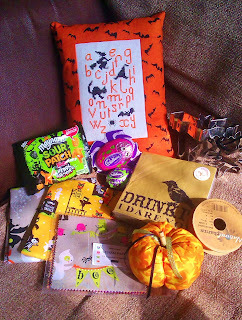 More wonderful halloween exchanges all look Fab.hugs. A fantastic exchange!!! Great decorations too! !